CP Discuss Lecture Series!!! - Join us on Sunday, April 14th at 5:00 p.m at Alexandra School Hall for CP Discuss! Rudolph Alleyne was an avid athlete from school day and always had a passion for sport. 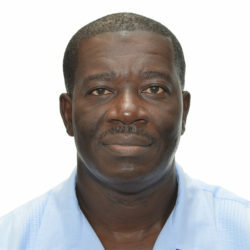 This influenced his vocation as an physical education teacher and more recently the Academic Coordinator for the Sport Sciences Programme at UWI Cave Hill Campus. Rudy's love for Coleridge and Parry School is demonstrated by his continued contributions to the school over the years. As president he hopes to bring all CP alumni together to celebrate and give back to our Alma Mater. He lives by the mantra "play hard, work hard, live life to the fullest." From the age of 14, Ian has been involved in the funeral industry working with his father, the late Earl Griffith. 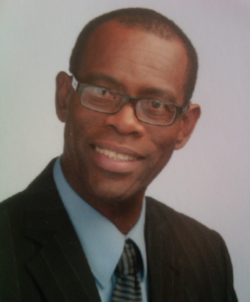 He was a graduate of Coleridge and Parry School in 1984 and the Barbados Community College in 1987. In 1989, he graduated from the American Academy McCallister Institute of Funeral Services in New York, with honours. 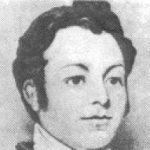 During his two (2) year stay in New York, he did his apprenticeship with the well-known funeral establishment - House of Hills in Brooklyn. His apprenticeship was a well-rounded experience in the mortuary, as well as Funeral Home Management. On returning to Barbados, Ian worked with his father to further develop the funeral home. He started his trade embalming for many funeral homes on the island such as Downes and Wilson, Lyndhurst and Keith Jones to name a few, and also across the region with Lyndhurst in Dominica, Crick’s in St. Lucia and Merrimans in Guyana. His input to the funeral industry goes way beyond just taking care of the deceased. An active member of the community, he has taken the funeral home’s involvement beyond the funeral with the introduction of bereavement support groups, christmas programs and remembrance services for families of loved ones passed. 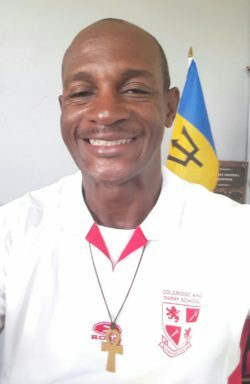 He assisted in the development of the Youth Milan Football Club in St. Lucy and is proud to give youth a chance to learn more about his profession, having been involved with the Job Attachment Program of the Samuel Jackman Prescod Polytechnic. Ian’s philosophy is not only to serve families going beyond presenting a smile on the deceased, but also ensuring that each family’s grief process is as easy as possible, by handling every detail of the funeral with attention. “No funeral must end in frustration and discomfort” is his belief. Wayne Alleyne joined the Insurance Industry in 1991, and has never regretted his career change. The challenge of this particular financial service industry is well suited to his outgoing personality, his commitment and dedication to helping others achieve their insurance and investment goals, as well as pursuing a life of excellence. To further hone his industry skills, he has undergone various training programmes, including those related to managing advisors, and as a result, he has been able to transition into his current position of Agency Manager with Sagicor Life Inc.
Wayne is a Past Vice President of the Barbados Association of Insurance and Financial Advisors, a former member of the board of directors of the Rotary Club of Barbados West, and he is also a member Board of Trustees of the Innovative Fund. He founded the Empowerment Clinic in February 2010 to train, coach and develop people to living a life of purpose and excellence, in every area of life. He is actively involved in the insurance industry’s regional conventions which, despite his active work schedule, he makes time to attend every year. He loves trying new recipes - particularly soups (for which he is well known), movie going, travelling, hiking, event planning, a good lime with friends and family, and hanging out with his 25 yr old son Carlos. He is also a die-hard West Indies Cricket fan, and Manchester United. 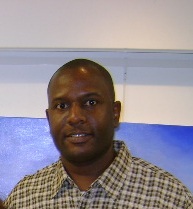 Mr. Richard Alleyne is a professional artist and teacher of Art at the Coleridge and Parry School. After graduating, he pursued A-Level sciences and A-Level Art at the Barbados Community College, successfully achieving two A-levels, after which he moved into the Faculty of Fine Arts of the same institution. While there, he successfully completed an Associate Degree in Applied Arts: Art Education and later a Bachelor of Fine Arts Degree. As a professional artist his work adorned many galleries around Barbados. 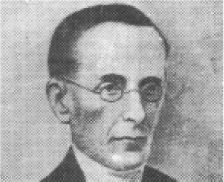 The Barbados Community College awarded him for the most outstanding two (2) dimensional works on graduation, and he was awarded by N.I.F.C.A in painting also. Continual educational developments led to a Diploma in Education and a Certificate in Educational Management and Administration from the University of the West Indies. Richard’s passion for sport led him to pursue a coaching certification in basketball, where he successfully led Coleridge and Parry teams to multiple championships in the junior and senior boys divisions, and the girls basketball teams as well. As the past Corresponding Secretary of the Coleridge and Parry School Parent Teacher Association, he eagerly looks forward to serving the CAPSAA committee and by extension school and community with distinction. Attended the Coleridge and Parry school from 1996 to 2002. I was an active member of the Nifca Gold Award winning School Band in which I played the flute and was also apart of the Steel Orchestra. After graduating from the Coleridge and Parry school I attended the Samuel Jackman Prescod polytechnic where I successfully pursued a diploma in Architectural Drafting. I attained further qualifications at the University of Technology,Jamaica in Architectural Studies and completed a MSc degree in Building and Construction management at the University of the West Indies (Cave Hill). I currently have taken a keen interest in the area of Procurement and will actively seek to be qualified in this field. I am employed by the Project Office, Office of the Attorney General. I am a gift basket designer in my spare time , have a love for skin care and makeup artistry and enjoys singing. 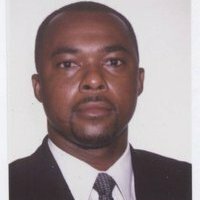 Mr. Christie is a business and financial manager with over 20 years experience in Finance, Accounting, Investment, Human Resource and Operational Management, in senior positions. He attended CP from 1972 until 1980. 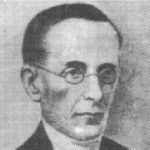 During this time, he was a member of the school choir, as well as separate Geographical, Photographic, Debating, Civic and Historical Societies. He also represented the school in basketball, volleyball and athletics. Patrick possesses a multi-disciplinary, multi-sectoral background, with practical experience in production and operations, manufacturing, international business, sales, services and entrepreneurship and is lending his skills to the association to support the President and the committee in enhancing its capabilities and efforts, towards improving the teaching, learning and social life of the school, while addressing challenges with physical infrastructure. He believes that this will set the path for the reemergence of Coleridge & Parry School as one known for its excellence, admired by observers, envied by peers and feared by its competitors in the sporting arena. He is therefore excited by the challenge of assisting the school through its distinguished alumni, in moving towards realizing its fullest potential, while being part of a fresh, dynamic and progressive team. 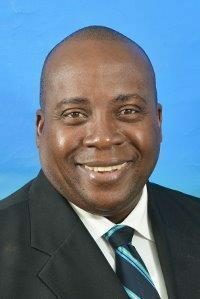 Patrick has a passion for the development of children, and over the past 15 years he has given his service, either acting as president, vice president, secretary or auditor of the PTA, at several schools across the island. He also supports non-profit organizations targeting youth welfare. Ms. Paula Harris graduated from the Coleridge and Parry School in 1999. At school, she was a member of the Athletics Club and the French Club. After graduating, she pursued studies in hotel management, tourism and hospitality, and marketing. 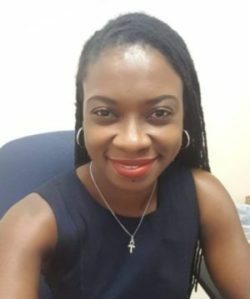 She holds an ASc in Hotel Catering & Institutional Operations from the Barbados Community College Hospitality Institute, and a BSc in Hospitality & Tourism Management, MSc in Management with Marketing and a Certificate in Marketing, Public Relations, and Advertising, all from The University of the West Indies. She has over 12 years’ experience in marketing and sales. 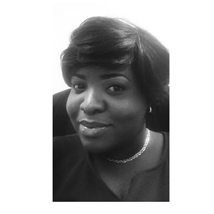 She is currently a Marketing Consultant, and also holds the post of Business Development Consultant at the Caribbean Tourism Organization. She believes in making time to do the things that make her happy. She loves exercising, traveling, listening to music, dancing, and socializing. 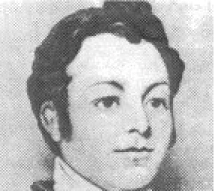 John Mark Smith entered the Coleridge and Parry School in 1979. At that time the school was still an all-boys institution with Victor Matthews as its headmaster. John had the distinct privilege of graduating with the first group of boys ever to attempt the A' level Art course under the tutelage of the late Winston Gittens. More remarkable, was the fact that the boys completed this 2 year course in 1 year and all passed – a remarkable achievement. Despite a background in Art, John found himself in the field of marketing and promotion. Initially, he worked with Hanschell Inniss Ltd in the early 90s, however, he eventually started a small business in the field of sampling and promotion. John has viewed it as an honour to serve as a floor member on the Coleridge & Parry Alumni Association and looks forward to completing the next year of his tenure. Mr. Don R. Small is a teacher, and Head of Physical Education and Sport at the Coleridge & Parry School. He was an avid track and field, football and volleyball player at school. He earned a track and field scholarship to Murray State University in Kentucky where he completed a Bachelor of Science degree. He also represented Barbados as a long jumper and triple jumper, and he was a gold medallist at the Carifta Games. Don successfully obtained the I.A.A.F. Level 4 coaching certification in horizontal jumps and he also attended several F.I.F.A. training courses. Outside of his professional life, he is passionate about hiking and spends many weekends on the trails around the island. One of his major goals is the upliftment of his alma mater by making its achievements visible to the young students. Athelston entered Coleridge and Parry School in 1976. Upon completing his secondary education, he immediately pursued his interest in custom tailoring by completing an apprenticeship at one of the leading tailoring establishments in Bridgetown. 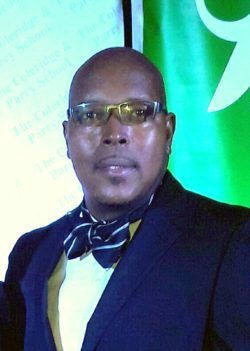 In 1990, he enrolled in the Barbados Community College to study Fashion Design, and started a small clothing business where he worked for the next 13 years. In 2003, he joined Chicken Barn Limited as part of its management team and presently functions as Branch/Quality Control manager. 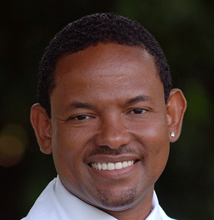 Athelston is also a licensed Minister of Love Gospel Assembly, Bronx New York, and has been in church leadership for over 15 years. He sees himself as a Tailor by trade, a Manager by occupation, and a Minister of the Gospel by calling. He is grateful to God for this opportunity to serve and looks forward with anticipation to this tenure. Sign up for updates on CAPSAA activities!